PT BD Sharma Admission 2018-19 – Pandit Bhagwat Dayal Sharma University of Health Sciences, Rohtak will release notification for admission to BAMS, BHMS, B.Pharmacy, B.Sc. Nursing, BPT/B.Sc. Optometry/ B.Sc in Prosthotics & Orthotics (BPO)/B.Sc. in Medical Technology(OT)/ B.Sc. Medical Lab. Technology (MLT)/ B.Sc. in Perfusion Technology/ B.Sc. in Radiotherapy Technology/ B.Sc. in Radiography & Imaging Technology Course in Govt. Institutions for the academic year 2018. 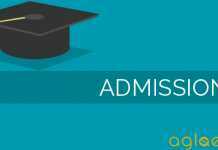 Candidates can read the complete detail regarding PT BD Sharma Admission 2018 such as application form, eligibility criteria, admit card, result, selection process etc. on this page. Latest: Corrigendum regarding admission for the course B.Sc, PB B.Sc Nursing for academic session 2018-19. Click here to check the same. PT BD Sharma University of Health Sciences, Rohtak will conduct the common entrance examination for admission to BAMS, BHMS, B.Pharmacy, B.Sc. Nursing, BPT/B.Sc. Optometry/ B.Sc in Prosthotics & Orthotics(BPO)/B.Sc. in Medical Technology(OT)/ B.Sc. Medical Lab. Technology (MLT)/ B.Sc. in Perfusion Technology/ B.Sc. in Radiotherapy Technology / B.Sc. in Radiography & Imaging Technology Course for the academic year 2018-2019. Interested candidates can get here the complete detail of Pt BD Sharma Admission 2018 along with important dates on this page. Schedule for PT BD Sharma Admission 2018 is given below. Click here to check the vacancy report for admission to BPT, MPT and Para medical courses in Govt. Pvt., and Unaided nursing colleges. Click here to check the vacancy report for admission to Basic B.Sc, Post basic B.Sc and M.Sc. Nursing courses in Govt. Pvt. Unaided Nursing colleges. 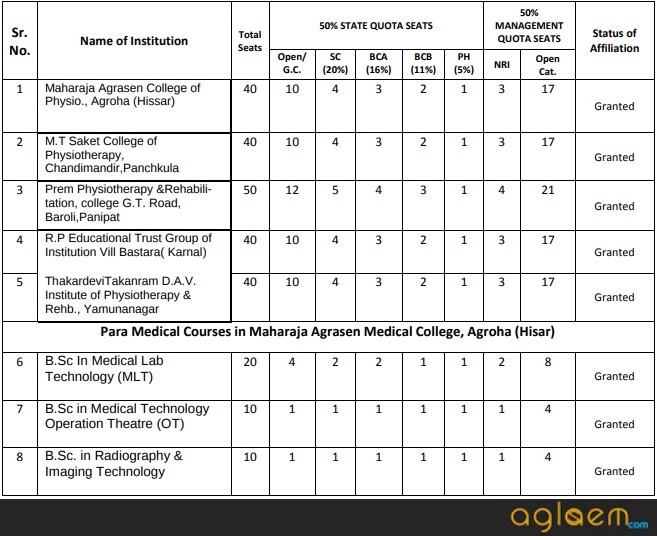 Click here to check Seat matrix for admission to BSc. Nursing and PB BSc. Nursing Course in Khushi College of Nursing. Age: She/he will attain the age of 17 years or more on 31 Dec 2018. Note: The age shall be determined as per entry in the Matriculation/Higher Secondary or its equivalent Certificate. B.A.M.S. : A candidate must have passed Sr. Sec. Certificate Examination (10+2) of the Board of School Education, Haryana with Science or an examination recognized as equivalent thereto provided the candidate passes the examination with 50 % aggregate marks in the subjects of Physics, Chemistry & Biology For SC/ST/BC the aggregate marks will be read as 40 % marks instead of 50 % marks. Or Any other examination recognized by Pt. B.D.Sharma U.H.S. Rohtak as equivalent. B.H.M.S. : A candidate must have passed Sr. Sec. Certificate Examination (10+2) of the Board of School Education, Haryana with Science or an examination recognized as equivalent with Physics, Chemistry & Biology. Note: Blind (including colour blind) deaf and/or dumb candidates shall not be allowed for admission to the course. The candidate must have passed Senior School Certificate Examination (10+2) of Board of School Education, Haryana or an examination recognized as equivalent thereto with at least 45% aggregate marks for General Category, 40% marks for SC/BC in Physics, Chemistry, Biology & English (P, C, B & E) taken together in qualifying examination . However, the candidate must obtain pass marks in each subject separately. The list of the examinations recognized as Equivalent to 10+2 examinations Board of School Education Haryana is available in the Academic Branch of Pt. B.D. Sharma, University of Health Sciences Rohtak. Bachelor of Physiotherapy ( BPT) at College of Physiotherapy, PGIMS, Rohtak: A candidate must have passed Sr. Sec. Certificate Exam. (10+2) of Board of School Education Haryana or equivalent exam with a minimum of 50 % marks in the aggregate in the subjects of Physics, Chemistry, Biology and English taken together and pass the qualifying examination. In case of SC/ST/BC candidates, the marks obtained should be read as 40% in qualifying examinations. A candidate must have passed Sr. Sec. Certificate Exam. (10+2) of Board of School Education Haryana or equivalent exam with a minimum of 50 % marks in the aggregate in the subjects of Physics, Chemistry, Biology and English taken together and pass the qualifying examination. In case of SC/ST/BC candidates, the marks obtained should be read as 40% in qualifying examinations. In-service candidates (for B.Sc. optometry) : (i)A person in regular employment shall also be eligible as in-service candidates provided he/she fulfills above qualifications for eligibility has passed the course of Ophthalmic Assistant/Optometry/Orthoptics (minimum 2 years duration) from any recognized Board/Council/University and thereafter is in regular employment with Haryana Health/Medical Education and research department and possesses a minimum experience of 3 years or more as Optometrist/Ophthalmic Assistant in Haryana Health/ Medical Education and Research Department. If the in-service departmental candidate is not available/ not qualified then-candidate having passed the course of Ophthalmic assistant/Optometry/Orthoptics (minimum 2 years duration) from any recognized Board/Council/University with 3 years experience in any hospital/clinic shall be eligible against seats reserved for in-service candidates. Further, if the candidates of above categories are not available as given para (b) & (c) above, the seat will be filled up by following Haryana Govt. reservation policy. A person in the regular employment of UHS/Haryana Health/Medical Education &Research Deptt. who applies through proper Channel must have passed Sr. Sec. Certificate Exam. (10+2) of Board of School Education Haryana / Pre-medical or equivalent exam with a minimum of 50% marks in aggregate in the subjects of Physics, Chemistry, Biology and English taken together and pass the qualifying examination. In case of SC /ST / BC candidates, the marks obtained should be read as 40% in qualifying examinations. And she/he possesses a Diploma in operation theatre technician from an Institution / Board/Council recognized by Haryana Govt. and has a minimum of 3 years of experience as O.T. Assistant / O.T. Master in various capacities in Haryana Govt. under Medical Education & Research Deptt. A person in the regular employment of UHS/ Haryana Health / Medical Education & Research Deptt. who applies through the proper channel having passed Matric Exam (10th Class) of Board of School Education Haryana or equivalent exam with a minimum of 50% marks in aggregate with Hindi and English have taken together. In case of SC/ST/BC candidates, the marks obtained should be read as 40% in qualifying examinations. And she/he possesses a Diploma in operation Theatre technician from an Institution / Board Council recognized by Haryana Govt. and has a minimum of 5 years of experience as O.T. Assistant / O.T. Master in various capacities in Haryana Govt. under Medical Education & Research Deptt. A person in the regular employment of UHS/Haryana Health/ Medical Education & Research Deptt. who applies through proper channel must have passed Sr. Sec. Certificate Exam. (10+2) of Board of School Education Haryana / Pre-medical or equivalent exam with a minimum of 50 % marks in aggregate in the subjects of Physics, Chemistry, Biology and English taken together and pass the qualifying examination. In case of SC/ST/BC candidates, the marks obtained should be read as 40% in qualifying examinations. and she/ he should possess a minimum of 5 years of experience in Operation Theatre in various capacities in Haryana Govt. under Medical Education & Research Deptt. A candidate must have passed Sr. Sec. Certificate Exam (10+2) of Board of School Education, Haryana or an examination recognized as equivalent thereto with Physics, Chemistry, Biology & English. For in-service Candidates applying through Proper Channel: Those employees have put in a minimum 5 years of regular service even after passing Diploma in MLT from the institutions/ boards/ councils recognized by Haryana Govt. B.Sc. in Radiotherapy Technology: A candidate must have passed Sr. Secondary Certificate Examination (10+2) of Board of School Education Haryana or equivalent with Chemistry, Physics, Math/ Biology and English as the subject. B.Sc. in Radiography & Imaging Technology: A candidate must have passed Sr. Secondary Certificate Examination (10+2) of Board of School Education Haryana or equivalent with Chemistry, Physics, Math/ Biology and English as the subject. B.Sc. in Perfusion Technology: A candidate must have passed Sr. Secondary Certificate Examination (10+2) of Board of School Education Haryana or equivalent with Chemistry, Physics, Math/ Biology and English as the subject. For the candidate seeking admission against reserved seats for SC/ST/BC the age and 45 %age of marks shall be relaxed as per Haryana Govt. norms. The applicant shall not be older than 25 years on 1st July of the year of admission. The Entrance examination shall consist of one paper of three hours duration-The paper will include objective type questions. There will be a total of 180 objective type questions (in the subject of Physics, Chemistry, Biology (Botany & Zoology) or mathematics preferably equally distributed. The paper shall carry a maximum of 180 Marks. The candidate must mention the stream of examination in which they want to appear Biology or Mathematics. 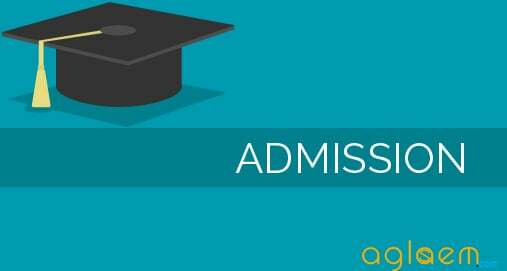 The Admission to BAMS/BHMS/ B.Sc. (Nursing)/B.P.T./ B.Sc. (Optometry)/ B.Sc. Medical Tech. Operation Theatre (OT)/ B.Sc. Medical Lab Technology (MLT)/ B.Sc. 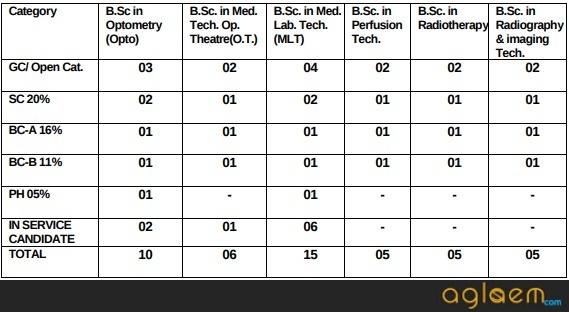 Radiotherapy Tech./ B.Sc. Radiography & Imaging Tech./ B.Sc. Perfusion Technology and BASLP Courses for session 2018-19 will be made on the basis of merit of CET-2018 through physical counselling by Pt. B.D.Sharma University of Health Sciences, Rohtak. The physical presence of the candidate is mandatory in counselling. Seats meant for bonafide Residents of Haryana shall be reserved for the following categories for admission to various Government Institutes located in Haryana as notified by the Government of Haryana notification issued from time to time. Note: In case of the in-service candidate are either not available or do not qualify competitive entrance exam, then these seats will be filled by following Haryana Govt. reservation Policy. Admission will be Subject to the provisional affiliation/ extension granted by the University and approval of INC/HNRC. Increase or decrease of seats is subject to the decision of INC/ State Govt./ University. State reservation policy will not be applicable on above seats. No domicile will be required. Fee structure of above private institution will be put on website/notice board before the start of the counselling. The Seats are subject to approval, decrease or increase as per CCIM/CCHM/Govt. of India/State Govt/ Extension in provisional affiliation granted by the University. The final distribution will be displayed at the time of counselling. To know more about PT BD Sharma Admission 2018-19, click here on Information Brochure. sir I am from up can I take admisssion in ur collage by enterance exam? sir my name is Garima Maurya,from up can I take admission in ur collage by enterance?